I don’t have much time right now to write this, but I’ve had numerous people ask me how they can help with donating to the relief effort in the Philippines. They estimate over 10,000 deaths after one of the largest typhoons (hurricanes) in recorded history. If you want to donate, please do. I’ll make a sizeable donation and make sure 100% of the donations go straight to the Philippines (not to administrators pockets). Thanks for your generous donations. I’ll personally make sure every penny goes where it should. I think it’s a great way to donate. I’ve made tons of materials about how to live a 4, or 17 hour week. I have e-books, videos, presentations, blog posts and webinars on the what’s and how’s of the business. But let’s face it, in the internet, it’s easy to get lazy, or get lost. Recently, I found a way to fix that through Udemy.com. So this site is an online learning platform that allows instructors to host courses. I’ve launched my first course there. I’ve combined the best trainings I’ve done over the years and put them into one place where it’s easy to learn everything. In this course, apart from the usual e-book format, I’ve made power point presentations, together with my videos, webinar, and even made supplementary materials for you to download all available in a single course. One of the things I like on Udemy is that students can ask questions on specific right there on the lecture area, so it’s like a webinar that you can take whenever or wherever you’re free. 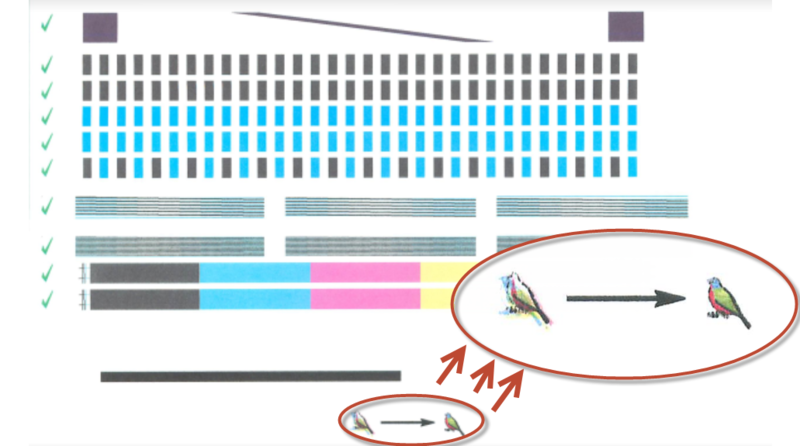 I see it every time I install a new, $38 ink cartridge into my HP 2610 printer. I’ve had this printer for almost a decade. The first time I saw it, I was somewhat enchanted by the idea of the tiny little bird down at the bottom. The EXACT same page is programmed to print every time you install a new cartridge. It’s not actually doing anything. HP is giving you a false sense of confidence in their product, and they do it by wasting your time, your money, and your ink. It seriously ticks me off. It’s dishonest. I don’t trust HP anymore. They’re pretending that they did something good when they didn’t. Moral of the story: don’t be a pretender. In business, don’t pretend to solve a problem or fix an issue that you sincerely can’t. You’ll just make people angry and lose their trust. Trying to outsource without knowing how to recruit Filipino employees is like sending your bank account information to that guy in Nigeria who emailed you yesterday to tell you you’ve inherited your distant cousin’s estate. Specify a few skills you MUST have and be flexible about everything else. There’s no such thing as hiring a perfect VA. That’s what training is for, and I can teach you how to do that, too. Make a list of a few indispensable skills (English speaking is #1 on most people’s lists), and consider any other skills an added bonus. Be aware of other qualifications, like years of experience, desired salary, and check out their website if they have one. A serious applicant will make an effort to give out as much information as possible. Send multiple inquiries. It’s okay to contact several people for a single job post. It’s very unlikely to find a candidate that’s perfect, affordable AND available on your first try. I usually contact around 20 candidates for a single position. Then I narrow the field from there. Spend time on interviews. After you get a response, make an effort to talk to the person before hiring them. You can learn a LOT about a person when you meet them (use skype or facetime) You might learn about some of their new skills, get a better feel for their English skills and get to know their personalities (are they go-getters?). In the interview: Don’t expect your interviewing candidate to volunteer information. Filipino candidates are much more modest and timid than American candidates- it’s just a part of their culture. If you want to know something- ask specific questions. I learned an AMAZINGLY powerful lesson in 1991. It changed the way I approach business (and virtually every important aspect of my life). It was the unbearably painful 3rd hour of church (yes, I go to church for 3 hours every Sunday). 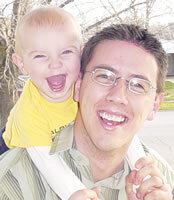 I was sitting in Sunday school, fidgeting in my chair and wondering what I was going to eat for dinner. He told our entire class of awkward, naive 13 year-olds that if we wrote our goals down on a piece of paper, he would buy us a spanking-new-Franklin-Covey-genuine-leather planner, worth $80. I didnâ€™t care about my goals. I cared less about the planner. But the fact that my teacher was going to spend $80 on me, that meant something. I had no idea that he was teaching us a seriously valuable lesson. I carelessly stuffed the paper into my scriptures, too anxious and eager about the new planner to care about my scribbled goals. I had gotten a job and for the age, I probably made a lot of money. I had saved basically all of it. Yep, I read my scriptures more. I gained much more than a new day planner from my Sunday school teacher: His lesson taught me the power of writing down goals. You can listen to Tony Robbins or Bob Proctor or whoever your favorite motivational speaker is until youâ€™re blue in the face. You WONâ€™T understand the power of WRITING goals down until you do it. I havenâ€™t accomplished every single goal Iâ€™ve ever written downâ€¦but Iâ€™ve come close. Is Team Building Part Of Your 2013 Plan? If it is, here’s a great place to find Filipino Outsourcers. 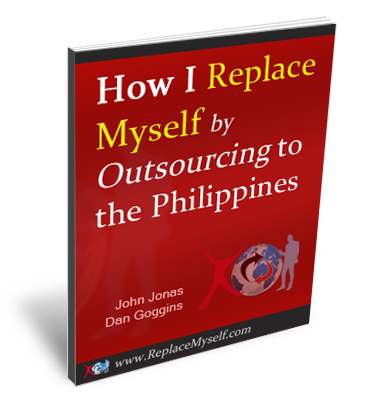 ReplaceMyself is a great place to lear how to hire Filipinos. Here’s a color coded list with my experience of days you must give them off, days you should give them off, and days you might give them off, if you’re really nice. The reality is, they won’t take all these days off. In addition, from Christmas to New Years, I always give my guys off. They say that most people take that entire week off work (maybe they do, maybe they don’t, but I don’t want to work during that time so I don’t make them work either). However, I ask them to check their email in case I need something done. You can get really great video work done. We found this guy at OnlineJobs.ph. It all happens basically without me, although I am involved a little (like in telling them the initial video was 2x to long).